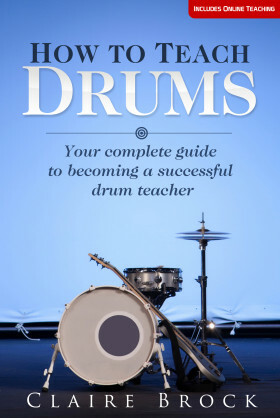 More reviews of “How To Teach Drums” have been published over the last couple of weeks. As a teacher myself I was extremely interested to see what Claire had to say with this book. I personally feel that the best teachers are those who go the extra mile, know their stuff and have built up their own teaching methods over time. In other words, I don’t really think “teaching” is something you can learn per se. There are of course many more elements to being a good teacher than just the teaching itself. Once I began reading this book I was completely absorbed. I literally read the book from cover to cover, finding myself agreeing with almost every point Claire made. It was evident she and I have a similar outlook when it comes to this area of the music industry…. Secondly came the review in iDrum magazine that sums up the book really well for me. If you haven’t read iDrum before I’d definitely encourage you do so. It’s an online digital drum magazine that’s totally free. Interviews, articles and lessons come alive as they’re able to add videos directly into the pages of the mag. “Depending on your experience, the book can be your confidence-boosting personal coach, the catalyst for you to make the leap; or simply a handy reference point for existing teachers, subtle reassurance that you’re doing a worthwhile and valid job. 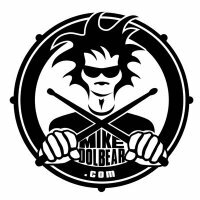 Many thanks to MikeDolbear.com, iDrum mag, Rob and Sam.